You’ll need to whitelist our email address to ensure you receive updates from us regarding the information you requested or the product you purchased! 1. In your inbox, locate an email from steve@unstoppableceo.net (ex. your welcome mail for the product you just purchased). 2. 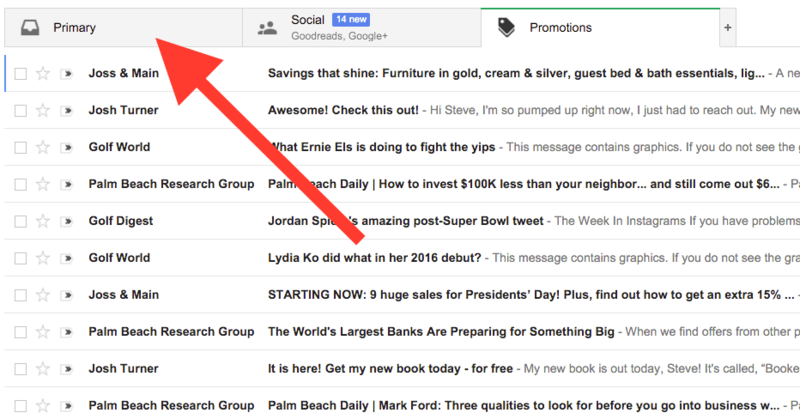 Drag this email to the “primary” tab of your inbox. 3. You’ll see that our emails will now go to your primary folder! For other email service providers (Yahoo, AOL, etc.) please add us as a contact in your address book. Instructions for specific email providers can be found here.